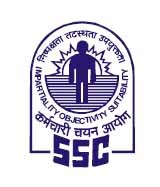 The Staff Selection Commission (SSC) will release the results of junior engineer recruitment examination paper II on December 15. Once released, the candidates can check the results on official website. SSC conducted the Junior Engineer (JE) paper II on July 30, 2017. The recruitment exam was held to fill posts in civil, mechanical, electrical, quantity surveying and contract posts. Earlier, the tentative date of the results declaration was November 30 which is now postponed to December 15. However, keeping in the previous records of the SSC in mind, the results may release before the said date. Every year, the SSC conducts recruitment exams on a regular basis to shortlist eligible candidates for various vacancies in government departments and ministries across the country. The Junior Engineer recruitment drive remains one of the most popular exams conducted by the SSC, apart from the Combined Graduate Level Exams (CGLE) and the Combined Higher Secondary Level (CHSL) exam.